Older homes come with hardwood floors that lack durability and functionality in the home that makes homeowners think twice about getting wood floors in their decision. Glass mosaic tiles are the great alternative for them in this world. Glass mosaic tiles are popular for their unmatched variety and visual appeal. Their non-porous attributes justify their use in wet areas such as kitchen tiles, bathroom floors and pool tiles. The tile store in Allen makes an excellent choice for artistic mosaic floors and wall murals in living spaces. In this article, we will discuss the major benefits of Glass Mosaic Tiles in great detail. 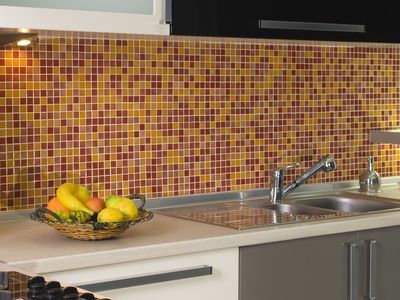 Glass mosaic tiles easily impart a decorative look to any setting. One can be creative and adventurous when using glass mosaic tiles. An interesting effect can be created by combining glass mosaic tiles with other different materials. The small size tile allows greater flexibility and control in creating designs. The glass is a stable non-porous material that makes it resistant to staining and damage by chemical or moulds. They are therefore well suited for places which can be damp and moist. They have super colour retention property. Unlike other materials, mosaic wall tiles don’t need too much time to be invested in their maintenance process. They only require wiping down to remove any dust build up or superficial staining. One must ensure soft cloth for wiping and mild detergents may be used to remove any oil build-up. It is eco-friendly to the environment. The energy consumption may be about half of that required for manufacturing ceramic tiles. Mosaic tiles are highly functional when it comes to the harsh environment found n certain rooms in your home. Their ability to withstand excessive moisture, light and heat is because tiles are made up of marble and rocks i.e already subjected to high pressure.